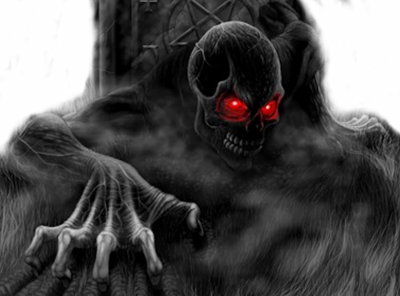 The Grave is Opening Once Again for 31 Days of Halloween! It’s hard to believe but one year ago on Oct. 1, 2012, I launched Monster Movie Kid. It was really just a way for me to start writing again. During the day in “real life”, I am a communications project manager but I wanted to write about something else, just for fun. So I chose to target my love of movies. Now, a year later, this is my 161st post. I’ve rambled on about movies and, once or twice, ranted about the state of the world or waxed nostalgic for the past. I’ve received far more comments, both here and on Facebook, than I ever could have imagined. There are a million other sites out there that are more meaningful and get more daily hits, so the fact that what I write entertains even a small group of followers is a success in my book. So, thank you for the last year! Now, what’s next? I started last year with a bold promise of reviewing one movie a day for 31 days. So, it only seems right to do again. Beginning tomorrow, it’s the 2nd annual 31 Days of Halloween! I’ll take a quick look at 31 different movies each day in the month of October. The reviews will be shorter than usual, due to the daily output, but that should make it a quick and fun read every day or easy to catch up on during the weekends. I’ve created what I think is a fun lineup of flicks, 19 of which are first time viewings for me. I’ll try to cover just about everything from Universal to Hammer, silent to modern, and even some Japanese and Mexican horror classics. 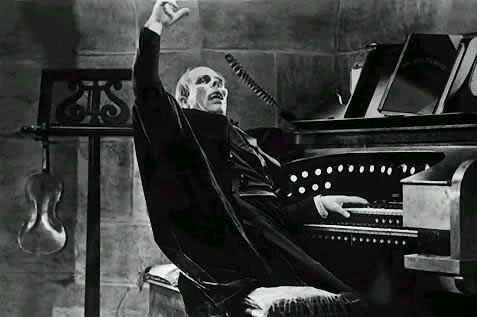 We’ll have all the greats from Karloff and Lugosi to Cushing and Lee, Vincent Price and the Chaney family. There’ll be vampires and zombies and satanic worship. Before it’s all over, the chandelier will come crashing down to ring in Halloween night! First up tomorrow, we’ll start it all off by going all the way back to 1914 for The Avenging Conscience. Until then, pleasant dreams! I must admit that the Heisei era of Godzilla has been a mixed bag up to this point. The special effects have been an improvement over what was previously offered. There is also greater continuity between the films. However, some of the plots have been convoluting and musical choices a little uneven at times. So the question going into Godzilla vs. Destoroyah is really whether or not this era will end on a high note or go out with a whimper. 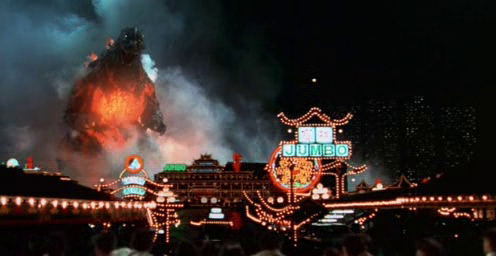 The movie starts off with a bang as Godzilla enters Hong Kong glowing and looking like a walking volcano. The destruction is impressive and enhanced by Godzilla’s new appearance. The steam rising off his body immediately brings one to think Godzilla is essentially burning up. It is soon discovered that Godzilla is in jeopardy of exploding due to his radioactivity, which is now out-of-control. When he does explode, he’ll take most of Japan with him. As work is underway to use anti-nuclear cold weapons to freeze Godzilla, creatures appear from the site of the original Godzilla’s death. They are called Destoroyah, although they are pronounced as “destroyer” in the American version. This was due to copyright reasons Toho faced when bringing their movie to the United States. The Destroyer (as we’ll call them) is a result of the oxygen destroyer from Gojira in 1954. We get some rare flashbacks that tie this era directly into the original film. The character of Kenichi Yamane (Yasufuni Hayashi) is the grandson of Dr. Yamane, also from Gojira. He’s a young college student who wrote a paper on Godzilla’s condition and G-Force believes he can help before Godzilla explodes. Meanwhile, we have a sub-plot involving psychic Miki Saegusa (played one more time by Megumi Odaka) and another psychic. Personally, I never grew to like the character of Miki. While I can appreciate the continuity of her appearances, she was not a very convincing actress and her scenes tend to drag a little. It was good to see Commander Takaki Aso (Akira Nakao) in the last three films, again bringing a familiar face to a series of films that all connect to each other. The bulk of the film centers on Godzilla’s impending meltdown and destruction, which was really amazing to watch. It was a great to see how far the special effects have come since the 70s. I also thought the Destroyer, both as smaller individual creatures and the one big morphed crablike beast was one of the better rivals to Godzilla. Godzilla Jr., which had previously annoyed me, has grown up by now and works much better. With Godzilla Jr. eventually killed by the Destroyer, Godzilla seeks revenge before he too meets his end. It is almost sad as we witness Godzilla die on screen. But fear not, Godzilla’s radiation is transferred to Jr., which clearly sets up Jr. as the new Godzilla going forward. Musically, this movie is back on track as well. 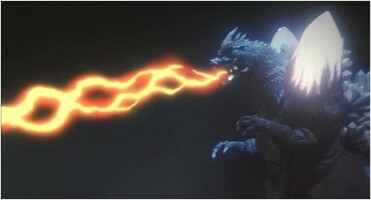 Akira Ifukube’s score is ever present in the final credits as we see highlights from the original Gojira as well as of the films in the Heisei era. A fitting end as Godzilla was to be absent from the big screen for a decade. However, with the American flop in 1998, Toho had no choice but to revive the franchise in 1999 with the start of the Millennium era. 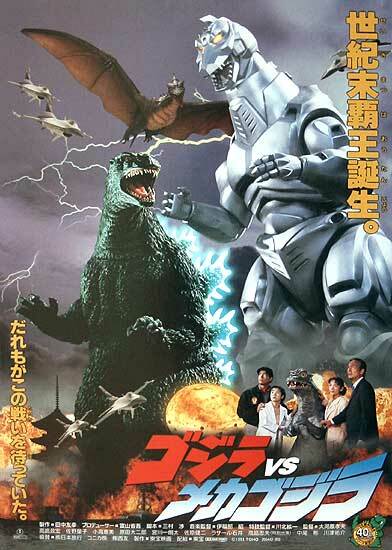 Godzilla vs. Destoroyah was a commercial success and is my favorite of the Heisei era, slightly edging out Godzilla Returns. Although it was not released theatrically in the United States, it finally saw a DVD release in 1999, paired up with Godzilla vs. SpaceGodzilla. Check out the trailer on YouTube and get ready for one of better films in the series. Before anyone asks, no, I will not be reviewing the 1998 American film. That is a Godzilla film in name only and most will agree is not the true Godzilla. I’ll be picking this review series up again in November with the 23rd film in the Toho series, Godzilla 2000: Millennium. Meanwhile, things are gearing up here for the 2nd Annual 31 Days of Halloween. Monster Movie Kid Talks Karloff and Lugosi with Derek M. Koch on the Monster Kid Radio podcast! When it comes to monster movies, there are seven names that should be on the top of everyone’s list to explore. We have Peter Cushing, Christopher Lee and Vincent Price offering up a nice assortment of Hammer and Poe goodness. There is the Chaney family, Lon Sr. and Jr., giving us everything from the Phantom of the Opera to Manfish. 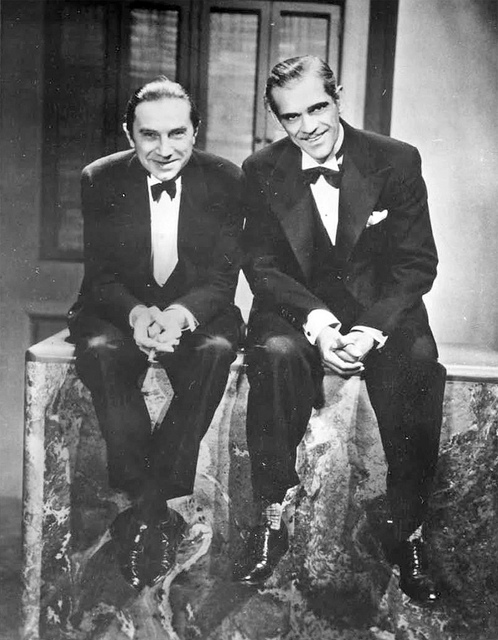 But undeniably, there are two masters that rise above the rest with such classics as Frankenstein and Dracula: Boris Karloff and Bela Lugosi. My good friend Derek M. Koch recently switched gears, double tapping the zombies into submission and concentrating on the new Monster Kid Radio podcast. I was on the show back in June and we discussed the 1951 classic The Day The Earth Stood Still. 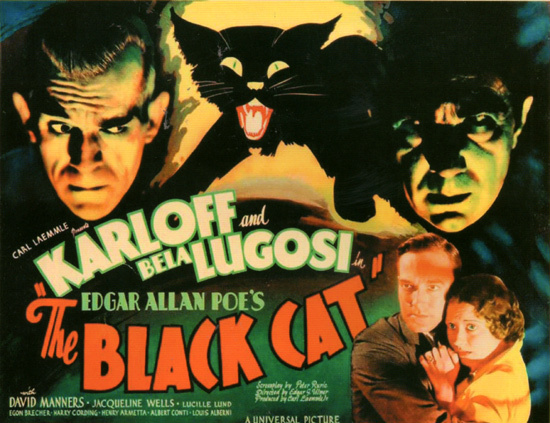 Now, Derek has invited me on again for episodes 34 and 35 as we take a two-part look at Karloff and Lugosi. We talk about everything, from personal lives and the films they did together to how their careers diverged. Go to Monster Kid Radio now, subscribe on iTunes and enjoy something a little different. Derek’s show is less review and more discussion, which is refreshing in the ever expanding world of horror-related podcasts. And if that’s not enough for you, go to Monster Kid Radio on Live365 for non-stop musical greatness. Derek has dived into his cavernous soundtrack collection to entertain us non-stop. And be sure to tell him Monster Movie Kid sent ya! The roller coaster ride for Godzilla in the 90s continues. After two fun films in the series, we’re given 1994s Godzilla vs. SpaceGodzilla. While not quite the mess that Godzilla vs. King Ghidorah was, it certainly does not rank as one of the best. The movie opens with some Godzilla cells that were taken into space by either Biollante or Mothra, then were exposed to the radiation of a black hole. The result is an outer space monster closely resembling Godzilla. Since apparently the creativity department had the week off, it’s named….wait for it…yes, Space Godzilla. One of the most unoriginal monster names to date. Meanwhile, a new project has been launched with the plan to control Godzilla telepathically in hopes of keeping Tokyo intact for longer than one year at a time. The project fails just in time for the Cosmos (Mothra’s little friends) to appear and warn of Space Godzilla’s arrival. After Space Godzilla lands on Earth and attacks Little Godzilla (looking straight out of a Saturday morning TV show of the 70s), Godzilla steps up and the two twin sons from different nuclear mothers engage in their first battle. I could go on with the plot but it is far too convoluted. Space Godzilla essentially wants to destroy Godzilla and the entire planet, using Fukuoka Tower as a power converter, sucking the energy from Earth, which would ultimately destroy it. We also have M.O.G.U.E.R.A. (Mobile Operation Godzilla Universal Expert Robot Aero-type), which looks vaguely similar to Moguera from The Mysterians (although there appears to be no relation except in name). There are some good battle sequences between the two Godzillas, which save the movie from being a complete flop. However, some of the special effects come off looking rather cheap, such as when Space Godzilla is flying. Miki Saegusa (Megumi Odaka) is back, now using psychic powers. It is nice to see Miki bring an ongoing continuity to these 90s flicks, even if her actual job title seems to change a little from year to year. I have three issues with Godzilla vs. SpaceGodzilla. First and foremost, the music seems so out of place. Takayuki Hattori and Isao Shigetoh created a soundtrack that was so generic and plain, it’s almost hard to know you’re in a Godzilla movie. Second, the plot is all over the place. It lacks solid direction, which surely puts the blame on writer Hiroshi Kashiwabara. Finally, the presence of Little Godzilla. 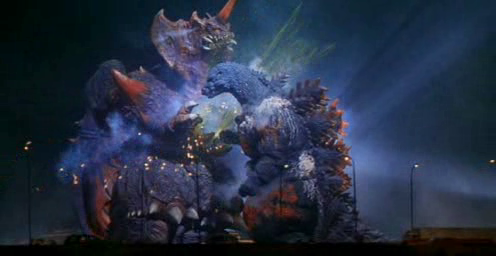 As the movie ends after Godzilla has defeated Space Godzilla, we go back to the island where we see Little Godzilla is okay and can know breathe fire bubbles. He just looks a little too cheap. I’ve never liked the original Minya but I must admit I prefer him over this new Little Godzilla. The movie was a moderate box office success in Japan. It guaranteed a sequel to follow in 1995. It would finally see release in the US in 1999 as part of a double feature DVD with Godzilla vs. Destroyah, still available at reasonable prices. Godzilla fans are mostly critical of this film and I would tend to agree. Not the worst of Godzilla but it is certainly towards the bottom of all the Godzilla movies I’ve seen so far. 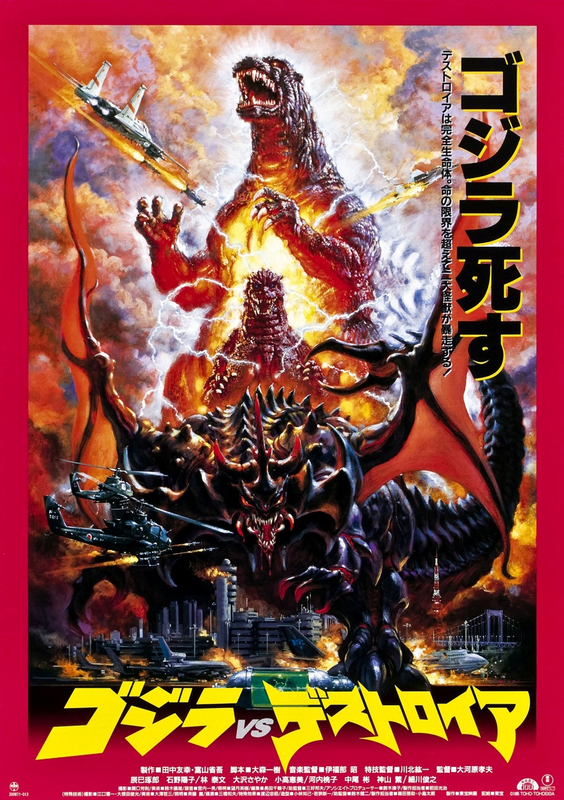 Next up, we’ll end this current series of Godzilla films with Godzilla vs. Destroyah, which I am hopeful takes us back up to the top again on this TOHO coaster. 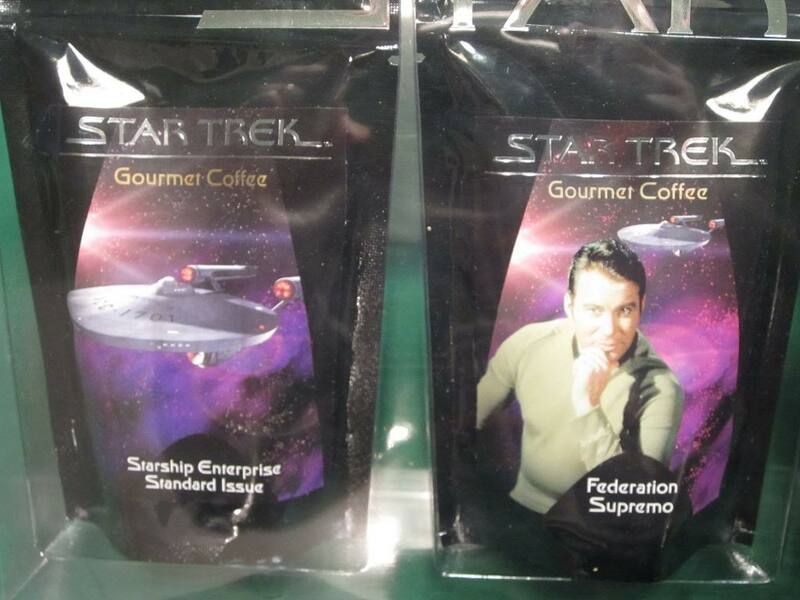 There was a day in the late 90s when I saw a box of Star Trek coffee for sale. It hit me at that moment that Star Trek merchandising was out of control. Television series after television series, too many new items to buy, it was hard to keep up. Being a Star Trek fan had become complicated. This was the first sign of over saturation that eventually played a part in the Star Trek franchise suffering is first cancellation. It was time for the Enterprise to take a rest. When it returned in 2009, it was different and not every old school fan was happy with the changes. But there’s no denying the box office results. The time off had done the old girl some good. This leads me to question whether the time has come for Doctor Who to take a similar break. The signs are all there. Doctor Who merchandise is everywhere. 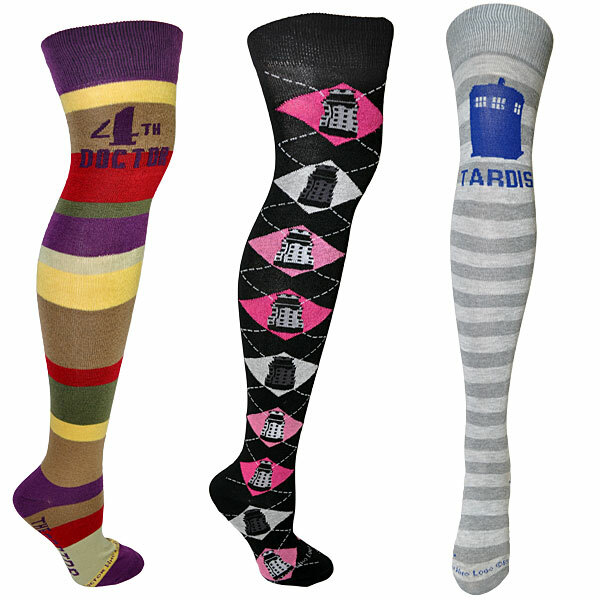 From blankets to night lights (yes, I have one, don’t judge), you can now get anything Doctor Who related. Gone are the days of just being thankful for a magazine on the shelf. Doctor Who has become main stream and I wonder if that may ultimately be a bad thing. There’s no denying that the Doctor Who franchise is to British television sci-fi history what Star Trek is to American television history. They are two very different shows and, on the surface, appear to have followed a different path. However, peel back the outer layers and it’s very easy to see the roads traveled are not as different as they initially seem. Doctor Who aired its first episode on November 23, 1963. Outside of a brief hiatus, it ran uninterrupted until the BBC cancelled it in 1989. It survived seven different lead actors, countless supporting cast and production staff changes. Yet, the show remained essentially unchanged in the first 26 years. Star Trek didn’t air its first episode until Sept. 8, 1966. It had a much shorter run of 79 episodes before it was cancelled in 1969. Yet both were groundbreaking and earned a cult following. And then came the wilderness years. Both shows survived cancellation because their cult audience lived off the constant repeats of both shows. Conventions would see fans gather to discuss their favorite episodes and buy memorabilia before waiting in line for an autograph from their favorite star. After 1989, Doctor Who lived on with VHS releases of old episodes, fan-made productions and original novels that allowed the beloved Doctor to battle old foes and encounter new ones. There were even original audio stories. The monthly magazine continued to be published for the still ravenous fan base. It was no different for Star Trek with the Bantam books in the 70s, action figures and nightly reruns. Merchandise was hard to find but the fans never gave up hope of a return. For Doctor Who, there was a brief return in 1996 with the Paul McGann television movie…then darkness followed once more. Star Trek fans were teased with movies as the franchise struggled with staying in the public eye. A full revival was needed. For Doctor Who, the revival came in 2005 with a return to television. Yes, the faces were new and the budget was bigger but the rich history remained intact. For Star Trek, it was Star Trek: The Next Generation that brought it all back to life. Kirk and Spock were gone, but it was still the Enterprise and the universe was still there, Klingons and Romulans included. Just as Star Trek eventually oversaturated their fan base, Doctor Who may be in jeopardy of the same. We’ve run through three spin-off series (Torchwood, The Sarah Jane Chronicles and K-9), a constant barrage of audio productions and novels, not to mention having everything from the past at our digital fingertips. Yet, with the recent announcement that Peter Capaldi will be the new 12th Doctor, the fan base is on the verge of splitting. Old school fans are excited about an older actor in the lead role. However, younger fans are immediately wondering why they couldn’t have stayed with someone younger and sexier. The one key advantage Doctor Who has is that it spaces out the new episodes. It leaves fans wanting more. Yet, with everything else out there, Whovians are never without something to watch or read or listen to. It will be interesting to see if Capaldi pushes the franchise forward or if the younger fan base, who has never really embraced the older and more quaint episodes, decide it’s time to move on. If that happens, the BBC may very well decide a take break. And as we’ve seen with Star Trek, that isn’t always a bad thing. For this fan, I embrace both the old and new. To me, a William Hartnell Doctor Who episode is just as fun as watching Matt Smith. I can enjoy Chris Pine and Zachary Quinto for what they offer in the same way I never grow tired of watching Shatner and Nimoy. I just wonder whether we really need to be able to wear our Tom Baker scarf socks while drinking a cup of Federation Supremo gourmet coffee. 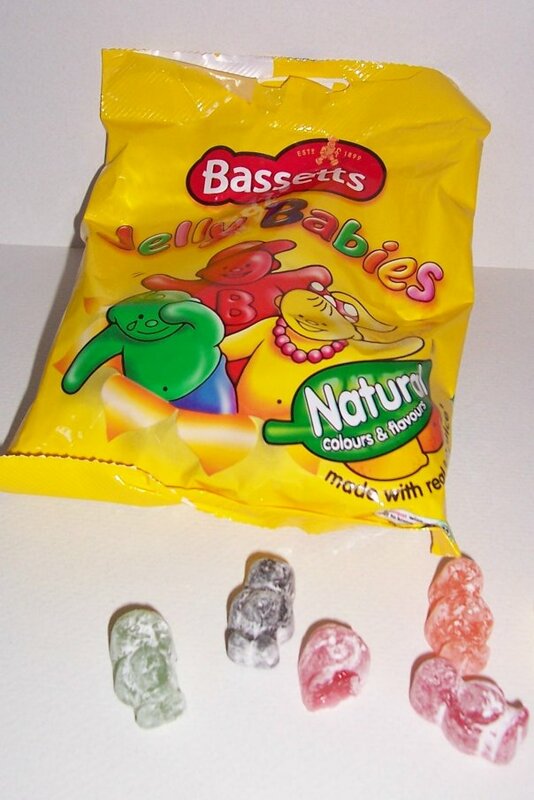 Meanwhile, please pass the jelly babies. After a rocky start to the 90s, the Godzilla series took a turn for the better with Godzilla and Mothra: The Battle for Earth. So I went into the fifth film of the Heisei era with positive thoughts and I wasn’t disappointed. 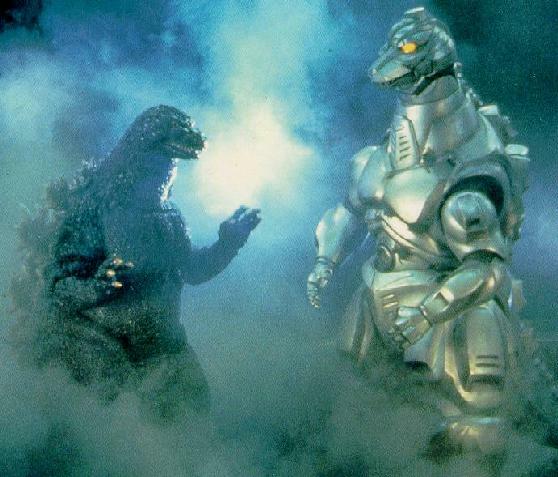 1993s Godzilla vs. Mechagodzilla II (the “II” was added for American audiences) had a lot of good things going for it. We see the return of Rodan and Mechagodzilla while getting some amazing battle sequences. But, there were some shaky parts. Yes, Baby Godzilla is back whether we were ready or not. For starters, even though the film shares a title with the 1974 entry, it is not a remake. In fact, the plot is quite original, right down to the creators of Mechagodzilla. Our movie opens with a new organization called the United Nations Godzilla Countermeasures Center being tasked to kill Godzilla once and for all. 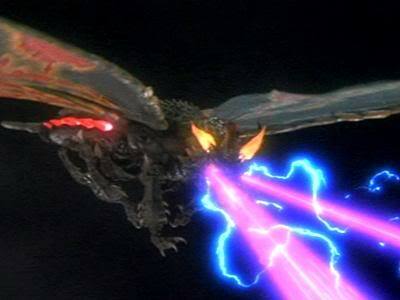 They use the futuristic technology from the remains of Mecha King Ghidorah (last seen in 1991s Godzilla vs. King Ghidorah) and create two weapons to fight Godzilla. The first is the airship Garuda while the second is the robotic Mechagodzilla. Two years later, we witness the discovery of a large egg which gives off a telepathic signal to Rodan (described as an irradiated pterandon) and Godzilla. The two collide on the island in what really is the best battle of the two to date. Updated special effects give life to Rodan, who gets quite a few good attacks in on Godzilla. Unfortunately, Rodan is eventually dispatched while the scientists escape with the egg. However, it calls out to Godzilla, who heads to Kyoto, destroying it much as he’s done to the rest of Japan in the past. The egg eventually hatches to reveal…Baby Godzilla. Two of my biggest problems with this movie are Baby Godzilla and a whacky sub-plot involving a character who keeps bouncing around from scenario to scenario. Baby Godzilla looked rather cheap but at least he was a little better the original Minya and, at least, here he served some purpose. There is an interesting sub-plot about the connection between Baby Godzilla and one of the scientists. Rodan doesn’t get much to do here but, again, his scenes are a big improvement over previous appearances. I particularly enjoyed his return to transfer life energy to the fallen corpse of Godzilla. Now, I enjoyed how they almost destroyed Godzilla but I could have done without knowing Godzilla had a second brain…in his behind. The dubbing did throw me a little as Rodan was called “Radon”, which I initially thought was a mistake. However, that is what he is called in Japan, so I can’t complain too much about their decision. And yes, Megumi Odaka is back as Miki Saegusa since ESP and telepathy continue to play a role in this period of films. By the end, Rodan is dead, Mechagodzilla destroyed and our two Godzillas are headed out to sea once again. Mechagodzilla is much more mobile than his 1970s predecessor. Originally, it was to be even stronger as it was going to kill Godzilla, allowing Baby Godzilla to grow up to be the new Godzilla. Thankfully, Godzilla would reign supreme and come back for two more films in this era. Reportedly, original Godzilla director Ishiro Honda was asked to direct this film since he had directed the last Mechagodzilla movie in 1975. But, his death in early 1993 prevented that from happening. Despite some flaws, it had moderate box office success and ensured more Godzilla flicks in the future. Solid directing, great visuals and a superior soundtrack from Akira Ifukube made this a solid 20th film in the Godzilla series. Godzilla vs. Mechagodzilla II was released direct to the pay movie channels in 1998 before getting a VHS release in 1999. Unlike the first two 90s flicks, Godzilla vs. Mechagodzilla II would be released on DVD in 2005 in widescreen with a Japanese audio option. The DVD is readily available for less than $15. Check out the trailer and prepare yourself for another fun Godzilla flick. Next time, we continue our trek through the 90s with Godzilla vs. Space Godzilla (1994)! This will be a revisit for me but I can’t remember much about the first viewing. Not sure if that is a bad sign or not. After a shaky start, the 90s took a turn for the better with 1992s Godzilla and Mothra: The Battle for Earth. 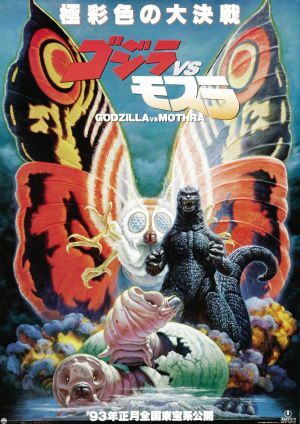 Well, that’s the American title as it was just known as Godzilla vs. Mothra in Japan. However, the 1964 Mothra film was still using an alternate title, so the 1992 film title was changed to avoid confusion between the two. 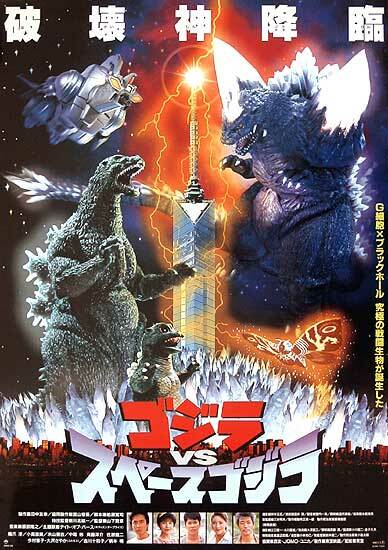 Whatever the title, this was a sequel to the previous years’ Godzilla vs. King Ghidorah. Thankfully, we’ve left the cheesy running effects and crazy time travel plot behind. Our story begins with a meteor headed towards Earth and, naturally, it awakens Godzilla. We cut to Takuya Fujita (Tetsuya Bessho), an adventurer in a scene right out of an Indiana Jones adventure. He is captured for trespassing and theft of an artifact. While in jail, his ex-wife Masako Tezuka (Satomi Kobayashi) offers him a chance to explore an island. He reluctantly accepts and the two travel to the island along with Kenji Andoh (Takehiro Murata), a representative from the Marutomo company. On the island, they discover a giant egg and meet the Cosmos (the revised version of the Shobijin/Twin Fairies from the original Mothra vs. Godzilla). The Cosmos explain how ancient humans once tried to control the Earth’s climate and the Earth responded by creating Battra, a winged beast that honestly looks like Mothra on steroids. Battra turned on the Earth, attempting to destroy it. 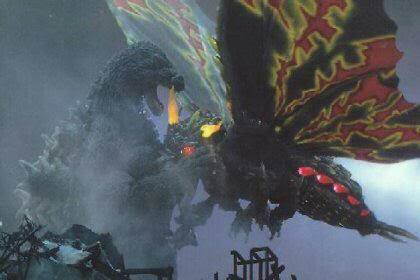 However, Mothra came to the Earth’s defense and the two engaged in battle. Battra lost, returning to the ocean while Mothra returned to Infant Island. Now that Mothra’s egg has been revealed, the Cosmos fear that Battra will return (which he does). Enter Godzilla into the picture and we have a good old-fashioned triple threat match with the poor people of Tokyo in the wrong place at the wrong time. The movie carries on a theme that evil corporations are destroying the Earth and the creatures we are seeing are the Earth’s response. Originally, the script had a new creature called Bagan. But, after the disappointing box office of Godzilla vs. Biollante, the decision was made to go back to the original creatures. Once Godzilla vs. King Ghidorah proved successful, the script was revised to bring back Mothra. The tiny twin girls were renamed to the Cosmos but they sang the familiar Mothra song with original music by Akira Ifukube. It immediately brought back feelings of nostalgia. The plot was simple and the battle sequences were great. The special effects may seem dated now but they truly are advanced over what we had seen through the 70s. Mothra has never looked better. One actress I have failed to mention previously is Megumi Odaka. She plays the recurring character of Miki Saegusa in the last 6 films of this era of the series, possessing ESP powers that stay fairly consistent film to film. However, her employers seem to change (otherwise known as a plot device for some loose continuity). Ultimately, she would appear in more Godzilla films than any other actor/actress. However, I’ve been a little less than impressed with her performances but it is interesting to connect the films, something we really had seen before in the series. Megumi Odaka retired from acting after the 1995 Godzilla movie but remains active today with convention appearances. Godzilla and Mothra was much easier to enjoy due to a more cohesive plot and some great action sequences. Sure, the full frame and dubbing continues to drive me nuts but I’m setting aside my frustrations with that to enjoy the movie. We get a scene tagged on at the end that indicates Mothra must now defend the Earth from a meteor in 1999 since Battra was originally supposed to do that. Obviously, this was intended to bring Mothra back in a forthcoming film. The movie is still available on DVD for less than $15, paired up with Godzilla vs. King Ghidorah. Someday, we can only hope that the original widescreen version with Japanese language will become available. Meanwhile, I highly recommend this entry and suggest you check out the trailer. Next time, Godzilla vs. Mechagodzilla II (1993), same daikaiju time, same daikaiju channel!